Strang Heating and Electric, Inc. 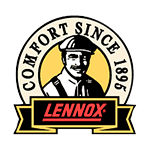 Serving South Central Wisconsin for over 100 years, we are your total contractor for sales, installation and service. Are you tired of looking for a job? How about a Career at Strang's? We service and repair all makes and models of HVAC equipment. We install and service Bradford White water heaters, Delta and American Standard faucets and all your plumbing needs. We install and service wiring and electric heat for residential, commercial, farm and new home construction. We provide NEC phone systems for commercial and residential use. With two locations in Richland Center and Viroqua, we offer major product lines and excellent service that is unmatched in the area. We are happy to assist you with all of your residential or commercial needs, so please feel free to browse through the rest of our website for more information on the services we offer, including 24-hour emergency service! Copyright © 2019 Strang Heating and Electric, Inc.